Espionage drama Berlin Station has shut down after three seasons. The EPIX spy series has been cancelled. Berlin Station stars Michelle Forbes, Richard Armitage, Richard Jenkins, Rhys Ifans, Leland Orser, Ashley Judd, Keke Palmer, and Ismael Cruz Córdova who joins as the CIA agent Rafael Torres. James Cromwell joined season three on a recurring basis. The series centers on the CIA’s installation in Berlin and season three unfolds during an 11-day timespan. In Eastern and Central Europe, Chief of Station Valerie Edwards (Forbes) guides her team through the high-stakes relationship between Russia, the United States, and its vulnerable NATO allies. The Kremlin could be involved in some foul play with the potential to wreak havoc with international relations. It seems that the show’s numbers have now been tabulated and, given the large cast and European locales, a fourth season didn’t make financial sense for the channel. EPIX’s only other remaining scripted series, Get Shorty, has already been renewed for a third season. The channel has new series on the horizon however. They include Batman prequel Pennyworth, Perpetual Grace LTD, Godfather of Harlem, and Belgravia. What do you think? Do you like the Berlin Station TV show? Are you sorry that there won’t be a fourth season of this spy series? 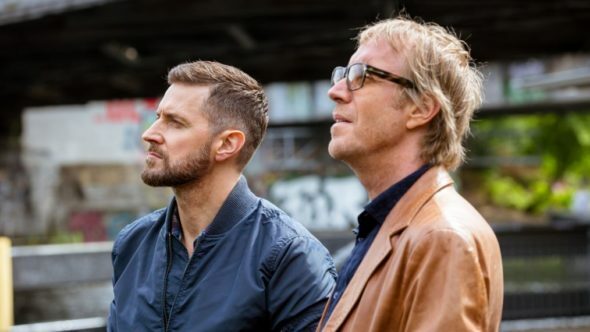 More about: Berlin Station, Berlin Station: canceled or renewed?, Berlin Station: ratings, EPIX TV shows: canceled or renewed? Berlin Station on EPIX: Cancelled or Renewed for Season Four? Berlin Station: Cancelled or Renewed for Season Three on EPIX? I agree with you would have been nice, it would have nice to see how they get Diver in the end. Fantastic show. Gripping! Incredibly realistic portraying the current political zeitgeist. Just heard it won’t be renewed. This should do a two hour epic to tie up all of the loose ends between Stephen Frost, Esther Krug and Hector De Jean. Intense cliffhanger, please bring back one two hour episode! Finish the story! Great show! My family and friends would subscribe epix if it were brought back. Maybe Netflix picks it up? I was thinking of getting into this show but now I will not bother. Such an excellent show and very rare here in Australia. Hope a network with deeper pockets picks it up. Excelente serie e isso de que uma quarta temporada não fazia sentido financeiro para o canal é uma grande treta. Foram ameaçados pelos serviços secretos, cia ?? Hoje em dia podemos recrear tudo e todos sem gastar muito dinheiro. Quem não arrisca não petisca ! I will be canceling my EPIX channels as this is the only reason I had the channels, Berlin Station. I admit it had went down some; but was still better than most.